One of the major challenges facing instrumental music teachers in today’s educational climate is the integration of literacy into their ensemble classes. Whether a school district has an independent literacy initiative (i.e. writing across the curriculum or reading across the curriculum), or is implementing a Common Core curriculum (the National Core Arts standards for music classes) for all disciplines, directors are not finding the support and resources to effectively address this challenge. It is critical for music educators to include literacy strategies on a regular basis. If we are to gain acceptance as a core subject, then we must do what other core subjects do. Literacy is one such thing. Our colleagues in other disciplines will respect music education if music educators can demonstrate how a music class includes such a topic as literacy. Parents, and even our students, will value their musical experience if we broaden their musical education through a comprehensive curriculum that includes literacy experiences. I have heard from many music educators that literacy “ . . . has nothing to do with my class”. I couldn’t disagree more with this position. In fact, I find music education to be the most inherent discipline of literacy strategies. Most people think of reading and reading comprehension with the topic of literacy. However, literacy is a multi-modal process that not only involves reading, but also speaking, listening, writing, critical thinking, and any other process or resource that helps students express their learning experiences. To further understand the comprehensive aspect of literacy in the music classroom (especially the instrumental ensemble class), I recommend Paul Broomhead’s article (Re)imagining Literacies for Music Classrooms, which can be found in the textbook (Re)Imagining Content-Area Literacy Instruction edited by R. J. Draper. Literacy helps our students find meaning in their musical experiences. Too often the only experience a student receives is playing one’s instrument. This should be the primary experience, and it should make-up between 85 – 90% of their ensemble experience. However, it should not be the only experience. We need to address the educational process as well as the performance product. Consider your typical band or orchestra student and how they articulate their ideas about the music they are performing. Despite 8 years of formal education in music, the typical band or orchestra student has difficulty expressing their feelings beyond liking or dis-liking the music. Take that same student and observe them in a math, science, or history class, and you have someone who shows an understanding of the discipline through multiple literacy processes. Music education needs to achieve the same results with students in our music classes. Hear It / Say It: The first step for student learning of a concept is to experience it. Whether teaching articulations, phrasing, dynamics, rhythms, or any other concept, the student should first experience the concept. Because music is an aural discipline, developing listening skills is essential to music education. The teaching strategy of modeling is one of the most effective methods of instruction, which uses an aural process. Echo patterns, or call and response, allow students to “hear” the concept, as well as to provide the teacher the opportunity to informally assess the students in an efficient and effective method. Read It / Write It: The second literacy step moves the concept from sound (listening and speaking) to sight (reading and writing). One challenge for music educators is that we teach the reading and writing of both text and musical symbols. For example, students learn the vocabulary of slur, staccato, accent, marcato, etc. for articulation. However, they also need to be able to read and write the musical notations associated for this terminology. The intelligent music student sees a musical symbol, identifies it with a label, and defines it before they perform it. While band and orchestra students use reading continuously throughout their rehearsals, seldom do they write music and its symbolic language. Find It / Perform It: The third pairing of literacy processes puts the concept into context. An effective strategy for learning any musical concept is for students to find, or identify, musical concepts throughout their sheet music. This takes multiple literacy processes that ultimately demonstrate their understanding of the concept. By doing so, the student has a better chance of successfully performing the concept. Through the performance of the concept, the student applies what they have learned within the context of the music they are to perform. Synthesize It / Create It: The final pairing of literacy processes focuses on critical, or higher order, thinking. Synthesizing is to use musical dictation, a learning experience seldom included in the band and orchestra rehearsal (and one I hope everyone will do periodically). Consider what the student must be able to do for dictation: 1) hear it, 2) identify it, 3) label it, and 4) translate it to the symbolic written format. This literacy process is a very effective method of assessment that will provide plenty of evidence of individual student learning, which you can use to shape future rehearsals. Creativity is one of the key elements of the National Core Arts Standards. We know that including it in the large ensemble classroom is a tremendous challenge. However, you can include it effectively and efficiently through this sequence of literacy processes. Have your students create a 4 to 8 measure “composition” that includes the concept, or central focus of that day’s rehearsal. For example, students can utilize scale fragments, rhythmic patterns, and articulation symbols to create varying styles, as well as demonstrating their understanding of the impact of articulation in music performance. While our students need significant time to rehearse the music to be performed, they should also be given the opportunity to learn about music outside of the performance setting. Most importantly, I believe you will find this type of experience to have a positive impact on the quality of your ensemble’s performance. Hopefully, this sequence of literacy processes will not only help your students’ musical education, but also assist in creating a fine performing ensemble. Most importantly, your students will find greater meaning in their musical experiences by having a comprehensive set of tools to help them express their thoughts and ideas about their musical experiences. Joseph Manfredo is Associate Professor of Music at Illinois State University. At ISU, he is the Coordinator of Music Education and teaches courses in instrumental music education. Originally from Calumet City, IL, Manfredo received a BME and a MA in Conducting from Eastern Illinois University, and his doctorate in music education is from the University of Illinois. Dr. Manfredo is in constant demand as a guest conductor, clinician, consultant and adjudicator throughout the United States and Canada. He has conducted various All-State and Honors bands throughout the country. In addition, he has presented lectures and clinics at The Midwest Clinic, National Association for Music Education, and the College Band Directors National Conference. He has made numerous presentations at state music conferences, as well as internationally in China, Germany, Luxembourg, Austria, and Brazil. 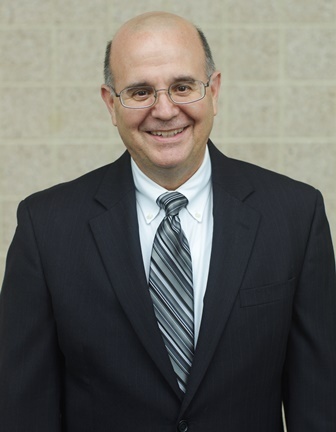 Dr. Manfredo has been published in Groves Dictionary of Music, Music Educators Journal, Journal for Music Teacher Education, Journal for Band Research, The Instrumentalist and the Bulletin of the Council for Research in Music Education. He currently sits on the editorial board of WASBE.